Two days, 24 designers, all male models, catch Pilipinas Men’s Fashion Week on July 12th and 13th at Robinsons Place Manila! So who’s who on this season of Pilipinas Men’s Fashion Week? Pilipinas Men’s Fashion Week (PMFW) is a showcase of creative and innovative fusion of art and design, culture, and modern lifestyle highlighting the unique and evolving Filipino menswear by the best established and emerging young Filipino fashion designers. And in my opinion it has evolved a lot, it is thriving in Philippine fashion industry as a matter of fact. You can see it more and more on the streets and special occasions, on our youth, the yuppies and businessmen – we all started to recognize and appreciate at some point. Fact: Five years ago you’d rarely see a guy sporting red pants on the street, now khakis and blue denim have a competition with a slim-fit(or skinny) red pants in a guy’s wardrobe(really, I’m not talking about a school uniform). Where local retail brands, Filipino fashion leaders, talents, enthusiasts and sponsors collide comes Pilipinas Men’s Fashion Week. Now on its fourth season, PMFW is considered the first and only official men’s fashion week in the Philippines. The pioneer show took off last August 2012, next season was April of 2013 and season three was last September 2013. Also, PMFW is the fifth official men’s fashion week in the world, following the Paris Men’s Fashion Week, Milan Men’s Fashion Week, Vancouver Men’s Fashion Week and Singapore Men’s Fashion Week. Pilipinas Men’s Fashion Week is the breakthrough of two young fashion advocates and innovators – Nico Agustin and MJ Alminanza. Both have their own strong fashion design aesthetics and boasts numerous achievements from editorials to marketing campaigns, to media experience and fashion industry awards. 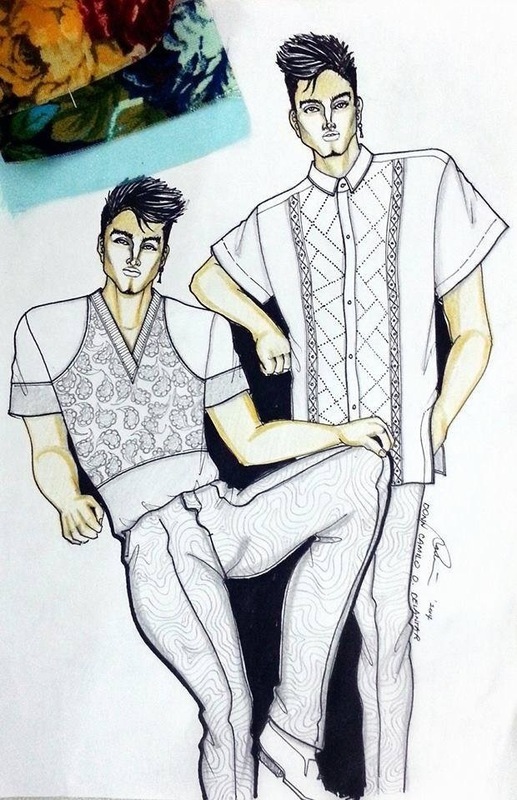 Together they propel Pilipinas Men’s Fashion Week in celebrating men’s local fashion industry and aims to become the men’s fashion capital in Asia and the Pacific region, elevating the quality of Filipino menswear for it to be known worldwide. 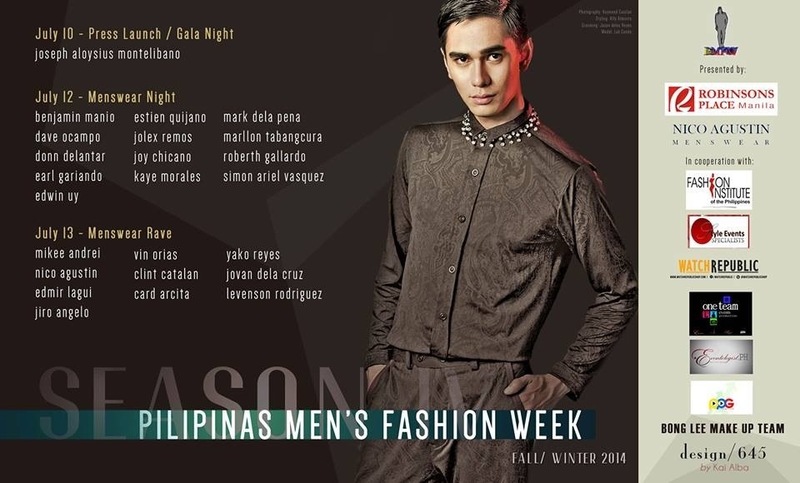 Pilipinas Men’s Fashion Week is presented by Nico Agustin Menswear and Robinsons Place Manila. Like/Follow facebook.com/ThePilipinasMensFashionWeek for more details. 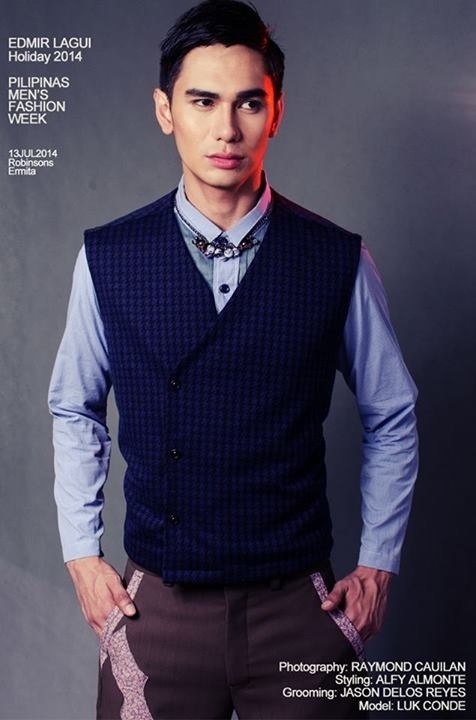 Photo Credits: The Pilipinas Men’s Fashion Week Facebook page and its respective photographers/designers/owners. Special thanks to Edmir Lagui for the overview! 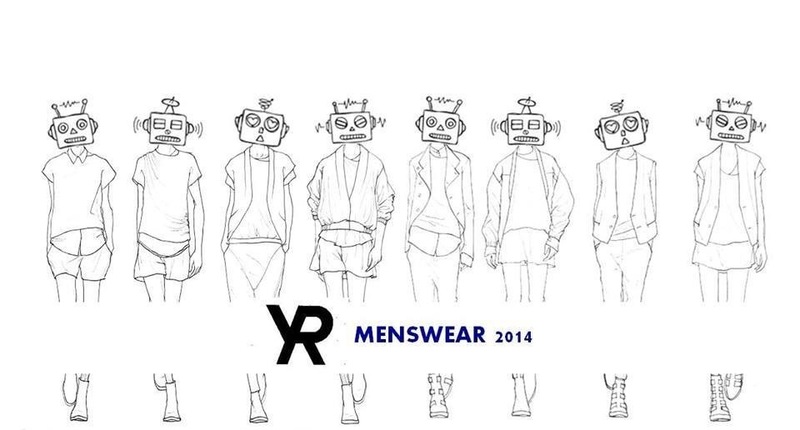 ← Now Comes Pilipinas Men’s Fashion Week!